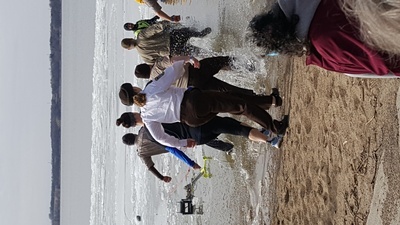 Buffalo's Polar Plunge Saturday, March 9th at Sturges Park's boat landing. 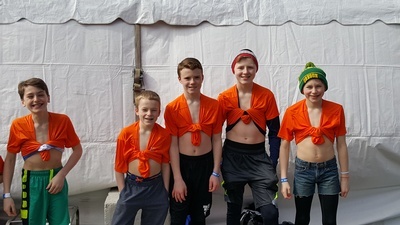 Most of us have heard about or seen the Polar Plunges as they are covered in the news. They are to raise funds for the Special Olympics and are often sponsored by local law enforcement. 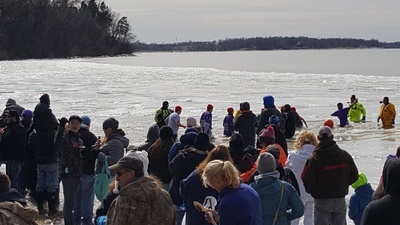 Our Buffalo Police Department, Sheriff's Department and Fire Department are partaking in this fun, frigid event for the second time here in Buffalo on Buffalo Lake! Evidently being a plunger is a popular sport. We are ahead of our number of jumpers and donations compared to last year at this time. 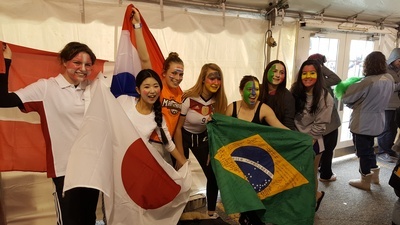 One great thing, if you get a school group together and form a jump team, the group (sports team, debate team, music group etc....) gets 35% of the proceeds kicked back to their group. You just need a towel, old shoes or water shoes, dry shoes and clothing for after the jump, and a good old Minnesota hearty soul! Oh yes - an a minimum of $75 in pledges! If you don't want to jump, mark your calendar and bring the family out to be a part of the event! 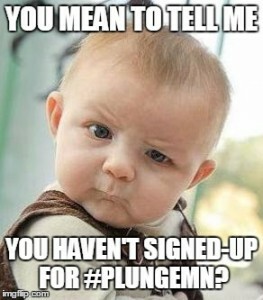 Simply go to www.plungemn.org for more information or to sign up! You will see the Buffalo location as an event location.